Market Info, Qualified Properties And More! 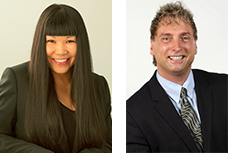 Phil Moore and Doris Gee are dedicated to providing their clients with the highest level of service. For professional and friendly real estate services, buy or sell your property with the expertise of professional realtors. Let Phil and Doris make your real estate experience a successful one! Phil & Doris have a combined 55 years of real estate experience, and have been recognized for their abilities by being voted The Best Realtor / Agency by the readers of BurnabyNow. Burnaby is situated at the centre of the Lower Mainland region. It is on the corridor between Vancouver to the west and north, and Coquitlam and New Westminster to the east. Burnaby is the third-largest city in British Columbia, and known as the Centre of Greater Vancouver. Click here to read more about Burnaby.